Before Louis Prima, Vegas was a seedy gambling town known mostly for its mafia connections. After his show revolutionised the city’s entertainment it became the number one showbiz destination. 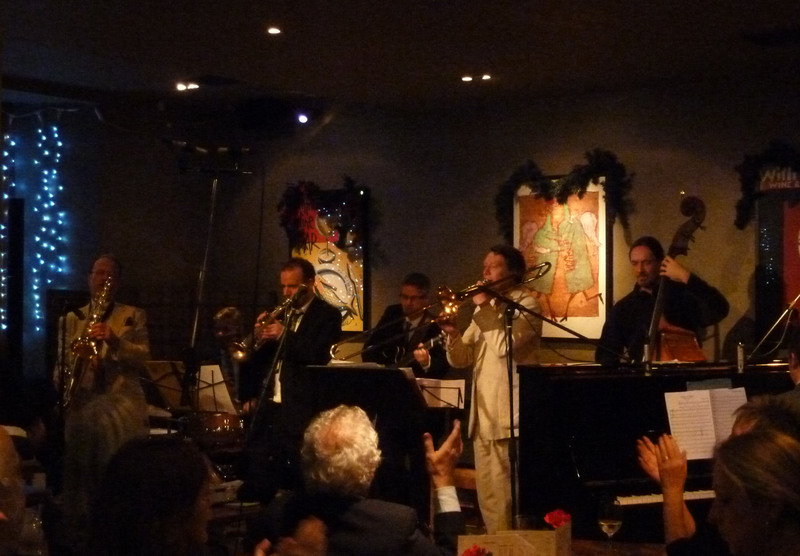 Frank, Sammy, Marilyn, Cary, Dean, they all came to see Louis Prima, along with the crowds who queued round the block till six in the morning. And just when his career seemed to be winding down he had his biggest hit of all. In Walt Disney’s “Jungle Book” he played King Louis the Most and sang I’m the King of the Swingers which turned him once again into a star. In this tribute, you’ll hear all the great songs – Just A Gigolo, I Ain't Got Nobody, Buona Sera, Angelina, Black Magic, Zooma, Zooma, When You're Smilin and of course I’m the King of the Swingers - and all the fun and gags and nonsense as well. 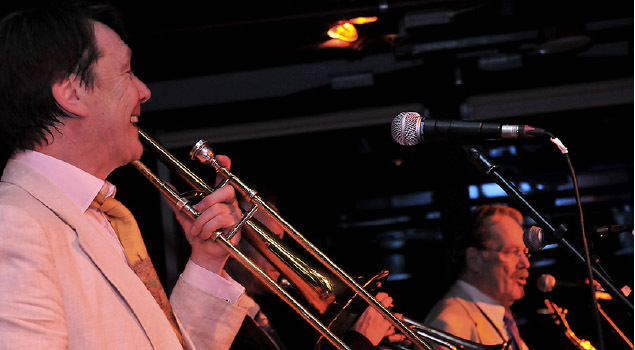 Trombonist and singer Dave Batchelor leads a specially assembled all-star band in a loving recreation of the Louis Prima Vegas Show. 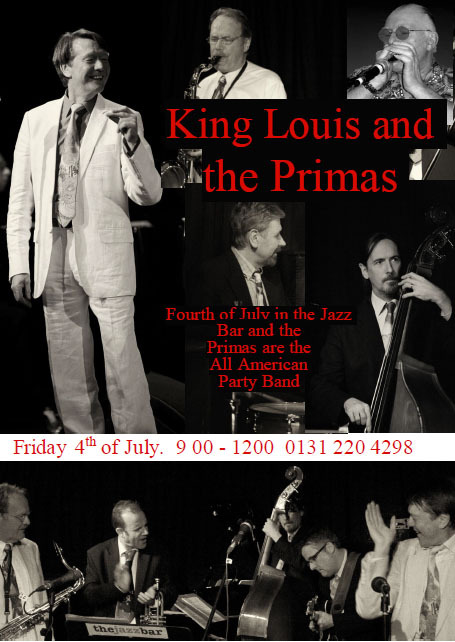 King Louis and the Primas also celebrates the roots of 50s rock and roll, bringing to life the songs of the Coasters, The Big Bopper, Joe Turner and Chuck Berry. See or gig page for our latest performaces.